Body image has been pertinent in the media for a very long time. There are dips and swells for its popularity in the media but, overall, it’s inescapable. It’s been said in many ways by many people – the media is saturated with images of social perfection. In sport body image tends to focus on being slim and toned; speed, agility and strength has simply become a by-product of the aesthetic. 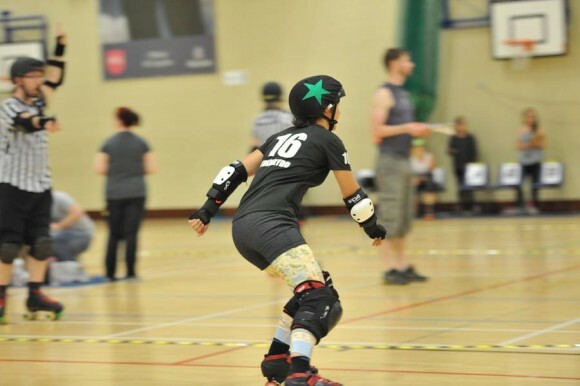 And roller derby comes with it’s own endless stereotypes of body image – but we’re not going there today. 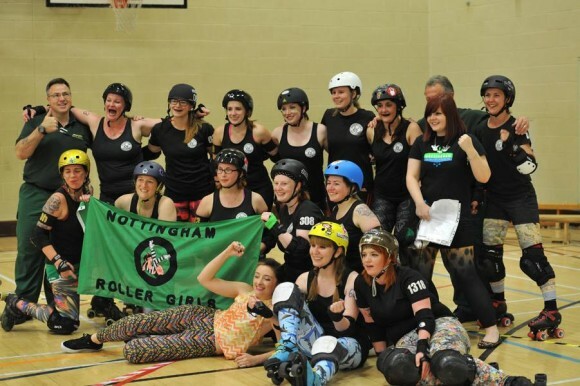 I joined Nottingham Roller Derby about a year and a half ago and initially I was daunted by the prospect of a contact sport, not least because I’d never done anything like this before. I felt self conscious at first, I’m not particularly toned or fit and knew I’d need to be, no, wanted to be both. As with many people I felt, and still do, that in order to be socially accepted by my peers I should be slimmer. Being part of the league has given me focus to be strong, stable on my feet and most of all to be healthy. Training with NRGB every week has been cathartic, for my body as well as mind. Being surrounded by funny, positive, kind hearted and like minded people has made me realise that no-one cares what I look like. What does it matter if I’m packing a few extra pounds if I can block effectively? Food is fuel and I need to feed myself to be an effective member of the team. Although there are still times when I moan about how I look, I’m learning to embrace my body and accept my quirks!